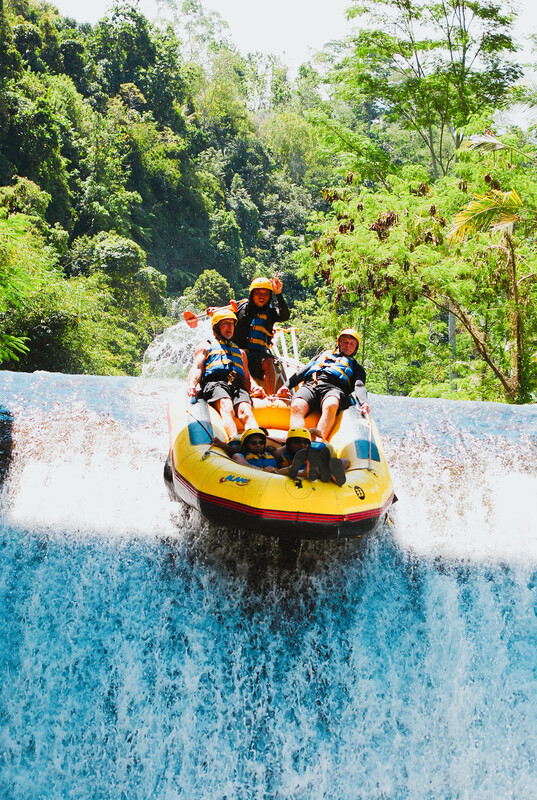 Alam Amazing Adventures : Wildest Experience of White Water River Rafting in Bali, Indonesia - Love With Travel - A Travel and Lifestyle Blog. 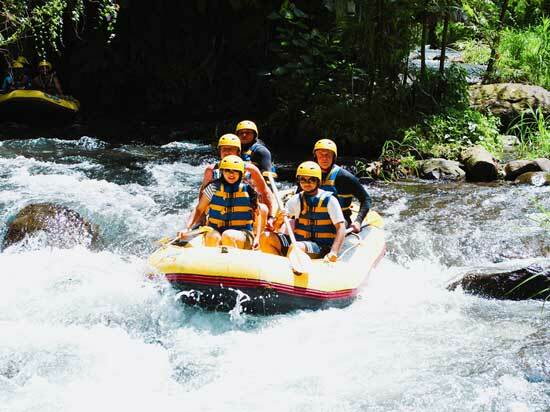 We have booked the activity of White water river rafting by Alam Amazing Adventures, Bali at Telaga Waja river. Greetings and Hi-Tea on arrival. Water proof storage bag for our valuables. Equipments needed for Rafting and ofcourse for our safety. i.e Life jacket, hemlet and paddle. Certificate of the Wild adventure. An amazing water adventure which every adrenaline lover wants to experience again and again. 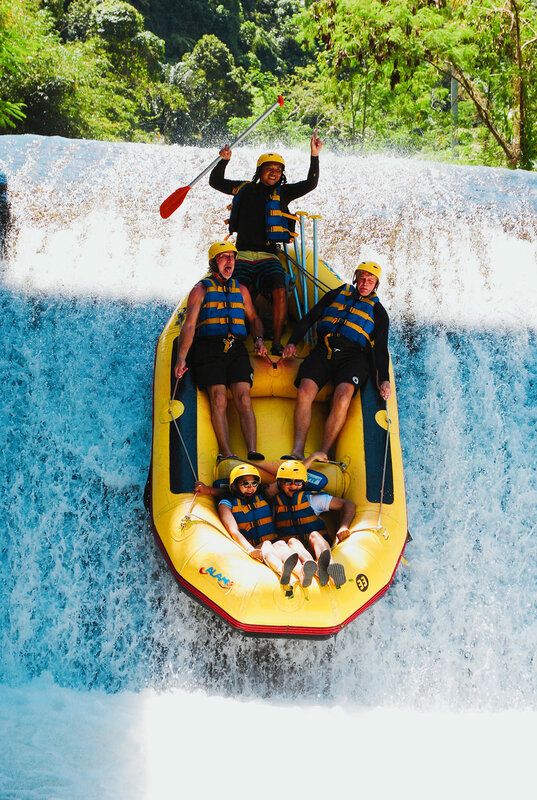 White water river rafting is an adventure in which you sit on a boat with a paddle in your hand and start the adventure with a boom. 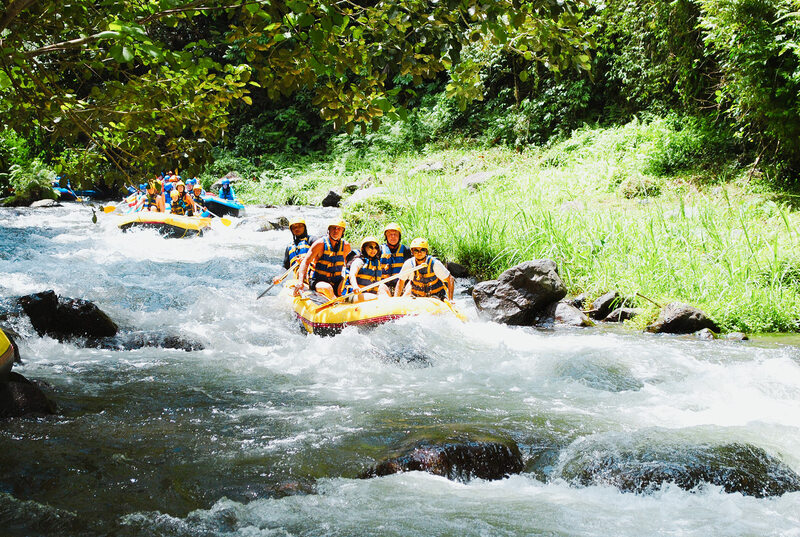 You can experience this activity at two location which is Telaga Waja river and second is Ayung river. Out of both Telaga Waja river is most adventurous sport and that was the main reason we chose this. After Hi-Tea you will get time to change your clothes (if you want to). Then along with the equipments w headed towards the river. Their a particular guide was assigned to us who trained us the rules and symbols needed for the activity. I must say we have got an amazing guide and we were sharing our boat with two Australian guys. Guide explained main three words needed such as “Forward” which means you have to paddle in forward direction, “Backward” means paddling in backward direction. And last and important word “Boom Boom”, which means hold the paddle tight and boat with other hand. After all the initial instructions finally we were ready to go!! We were asked to lay back if bark of tree comes in between. Within first minute itself we had to lay back and then we clearly understood that next three hours won’t be easy for us. Paddles, collides, self-flow and many more lifetime experience and memories we made over there. Sometimes we got struck by the huge rocks, sometimes we just collide to other boats and sometimes it just went to the flow. Endless rafting it was with a beautiful natural scenery far from the noise of the city. After 1.5 hour of rafting we were so tired and noticing that our guide took a break for sometime. We had refreshing soft drinks and ofcourse the Australian guys had Bintang ( Famous beer of Bali). After a short break we resumed our adventurous ride with the same enthusiasm again. After 1 hour I got to know that we are about to have a free fall from 4 meter height. I was so damn scared and worried, inspite guide has instructed us very well. With lots of excitement apparently fear in mind suddenly the guide screamed the word Ready. All four of us was like yeaaa…. And then Splash!!!! We experienced an awesome lifetime memorable moment. What a fall it was!! The best part of whole activity!! After completion of the activity, we had the facility to take bath and change wet clothes. As soon as we freshen up, Lunch was ready for us. 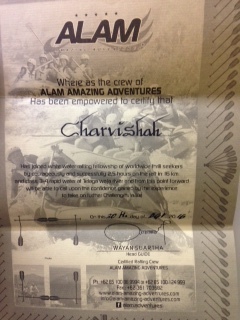 After, certificates were provided to us on completing a great adventurous activity. 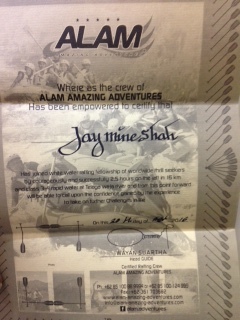 A lifetime amazing experience of White Water Rafting at Alam Amazing Adventures. Their services were so good from timely pick and drop to Hi-Tea and Lunch, everything was amazing at affordable rates. By the clock arrival to pick us up, providing proper safety measures, instructions, kind staff, and helpful guide. A highly recommended activity to experience once in a lifetime and a must include activity in your bucket list while you are in Bali. 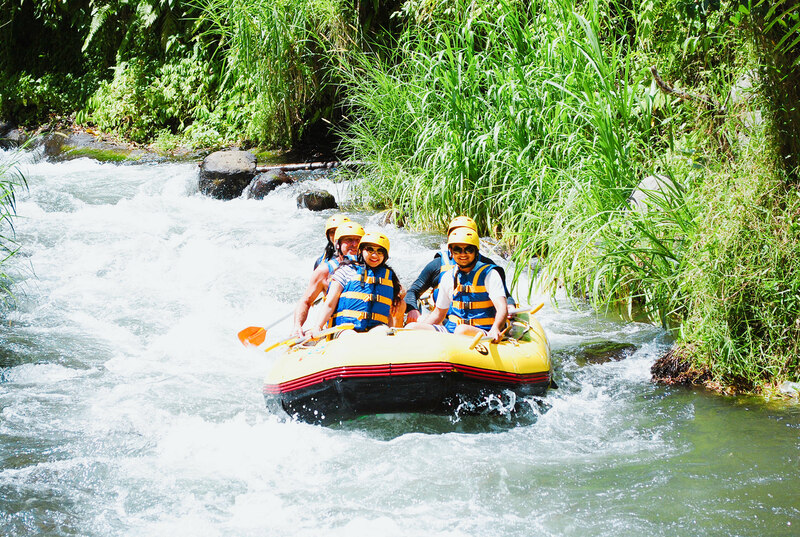 If you want to experience white water river rafting activity in Bali then I suggest Alam Amazing Adventures for this amazing adventure. Booking: See the BEST deals and prices for White Water River Rafting at their own website. Address: Perum. Mekar II Block C4 No. 4 Pemagon Denpasar, Bali –Indonesia. Looks great, but I prefer something I can read - like 12 point! Thanks for the feedback John!! 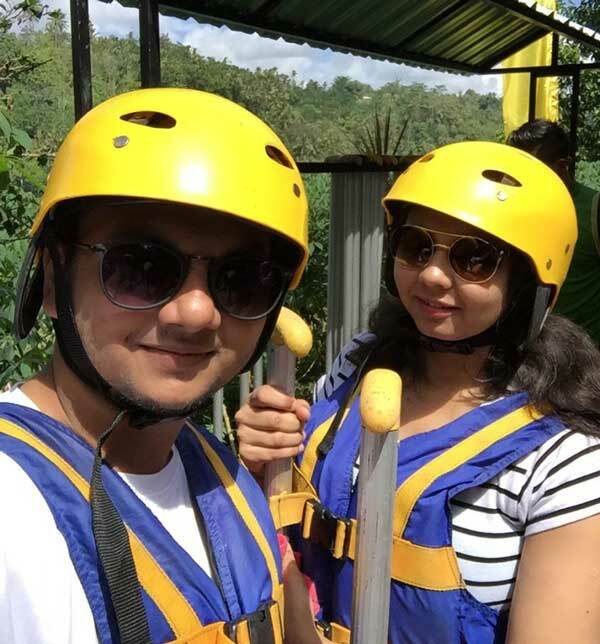 Thank you very much Charvi Shah & Jaymine Shah for visiting us and did one of our activities white water rafting in Bali. We are very appreciated about your effort to write about our company in your blog and tell the story of your booking and your experience in the river and about our service. 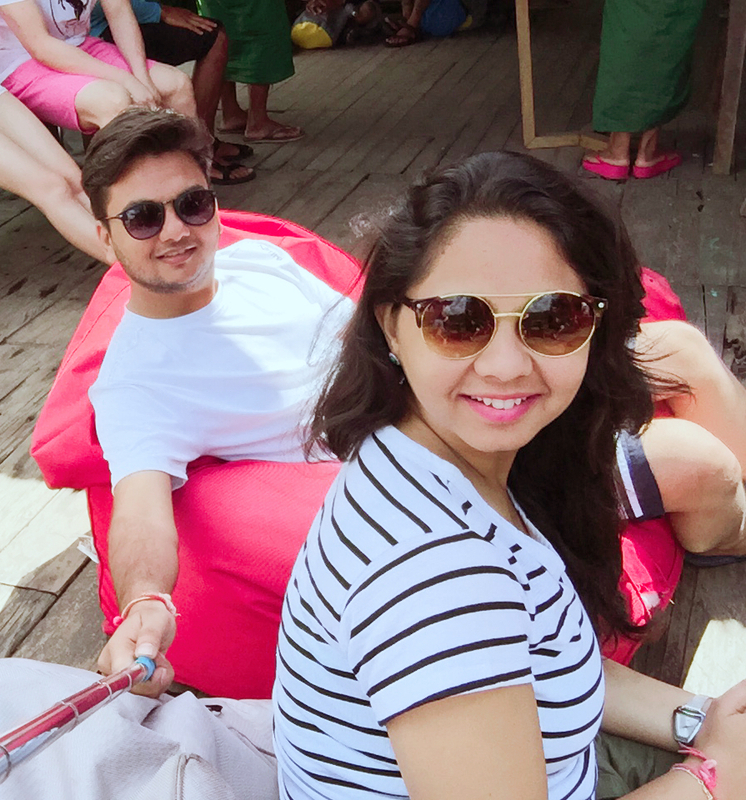 With this blog you already introduce us to many people around the world. Hopefully, you can visit us again in the future and bring more friends :) and family to enjoy this kind of activities. Hi Charvi and Jaymine! We nominated you for the 2017 Blogger Recognition Award. Congratulations!!! You can check the article here: http://www.yamventures.com/nominated-blogger-recognition-award-2017/ Thank you and keep on doing what you love! Thank you so much Ann for nominating us for the 2017 Blogger Recognition Award. Great article Charvi, I enjoyed reading. Excellent job for this article. 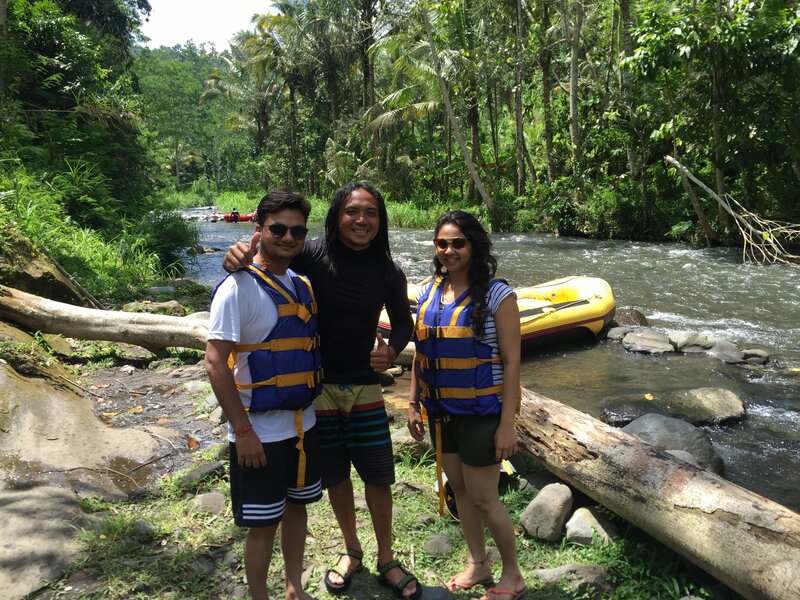 Thanks for sharing great experience...rafting trip at telaga waja is one of best in Bali. Wow this is fun, join with us aswell, we will arrange your rafting an other activities. nice article, get more activities with us.